"You cannot teach without in some way changing yourself, your students, and the world around you" (The Skillful Teacher). This sums up exactly what this blog is about - change. Recently, I was one of the facilitators of a professional development workshop for college instructors. I attended the workshops of my colleagues and left feeling excited that even after all these years I have been a teacher and instructional designer, I am able to learn new things. This old dog can learn new tricks. The topic of the workshop was on andragogy, which was pretty heavy for attendees, but it set the stage well for what followed: lesson planning and lesson planning frameworks, which I have posted about here. At the end of the workshop, the facilitator used the term "exit slip", which is a much catchier way of saying formative assessment, and gave us a quick task to close the lesson. 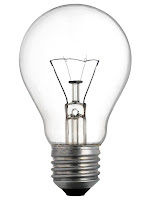 It was called "Aha!, Huh?, Argh"
We were asked to jot down our lightbulb moment (Aha! ), something that we are still confused about that we learned (Huh?) and a moment of frustration based on what we learned (Argh.). Here is a workshop on a lesson planning framework that works great for college instructors. The instructions for each section of the workshop, including all materials needed, are here in this post. The workshop is in the form of a BOPPPS, so as you teach it, participants are experiencing a BOPPPS. If you're looking to help your instructors create more dynamic lessons, or if you are training your staff on how to deliver a lesson, this post is sure to help.